Boxes is a whole new Social Network. When using social networks one day I had a realization. These big shot social networks where not designed the way I would have designed them. They seemed to relay information in a complex manner instead of giving a simple interface. I decided then that I would work on making a new social network. I found out about the house app contest in late March, this gave me a reason to start developing my social network, Boxes. Boxes is designed to look modern. I spent the majority of my development time designing how Boxes should look. This to me is the most important step to have done first. It gives the feel for the whole application. 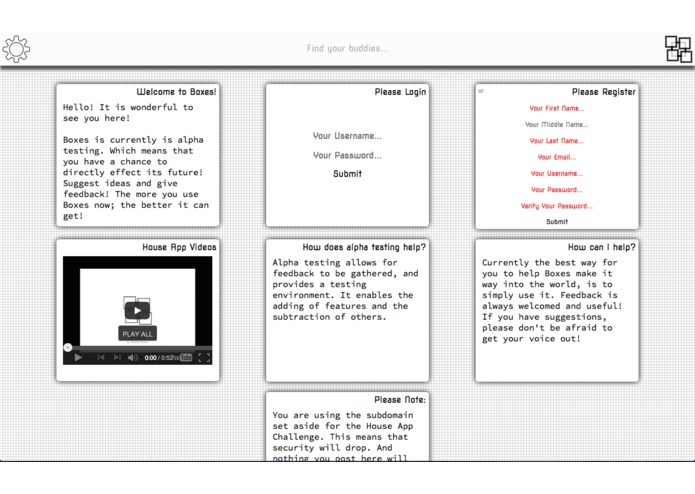 The functionality can be added. But if you make it too complex to use, then people wont comeback to check if the functionality is there yet or not. However, you can't just have a static application, so I had to ignore all my subtle details—such as, how it is suppose to not ever reload the page - halfway implemented— to get some functionality completed. Boxes is aimed at the younger generation; although, I wish anybody—regardless of age—can use my application with little to no difficulties. 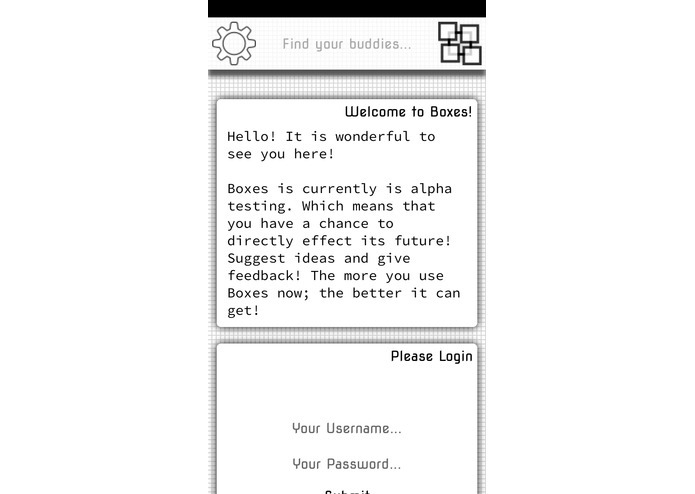 Boxes is a web-application/website this enables it to be used on any device with a modern web browser! You can add it as a web application right on the home screen of your iDevice! I really love my smooth scrolling on the home page of boxes. Also the logo I designed. However, the idea of Boxes, and the potential it has is my favorite part of Boxes. This overall was a really fun programing challenge. Thank you.